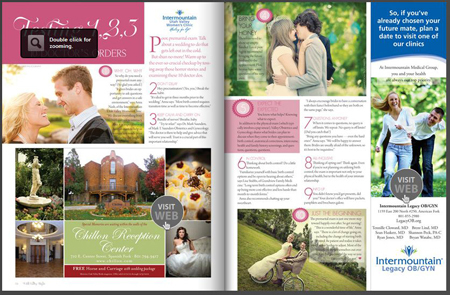 Published in Utah Valley Bride Magazine! 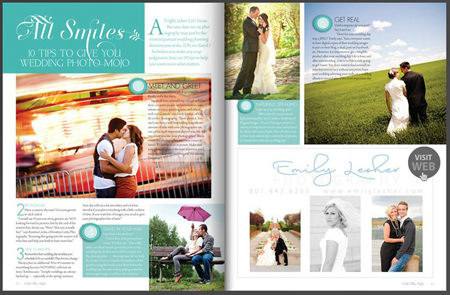 I am so excited that Utah Valley Bride magazine picked up some of my images to publish in their magazine! 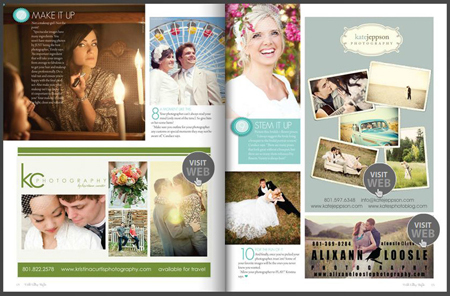 Utah Valley Bride Magazine is available on news stands now, and you can view it on their website. 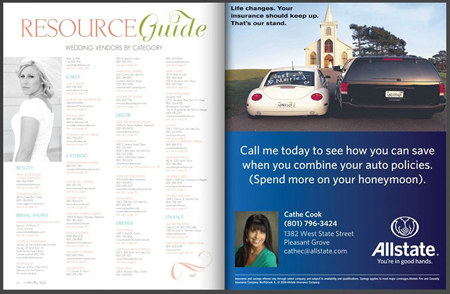 The image below shows my ad in the magazine. Featured in the ad are Kari Ann and Jared and their beautiful bridal session at Thanksgiving Point Garden, and Christina and Christopher and their engagement session and bridal session out at Daybreak. The magazine interviewed me for some photography tips as well. To read my responses, you’ll have to pick up the magazine or read it online! To see these images bigger and better, please check out my Utah Photography Blog. I love your blog and pictures. You are super talented. It was fun getting to know you here in Kansas. I hope our paths cross again. It’s so much fun to see you kiddos growing up. Hannah was so much fun when she would play at our house with H.